PRICE VALID APRIL 12 THROUGH APRIL 22 WHEN BOOKING ON OUR WEB. 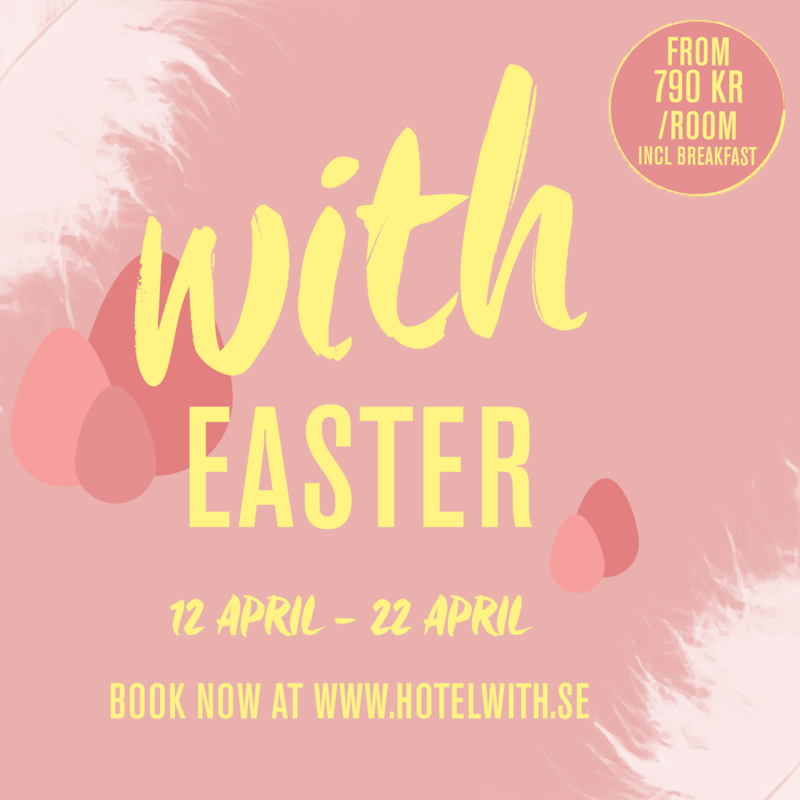 BOOK YOUR EASTER STAY NOW! THERE IS ALWAYS A CAUSE FOR CELEBRATION! 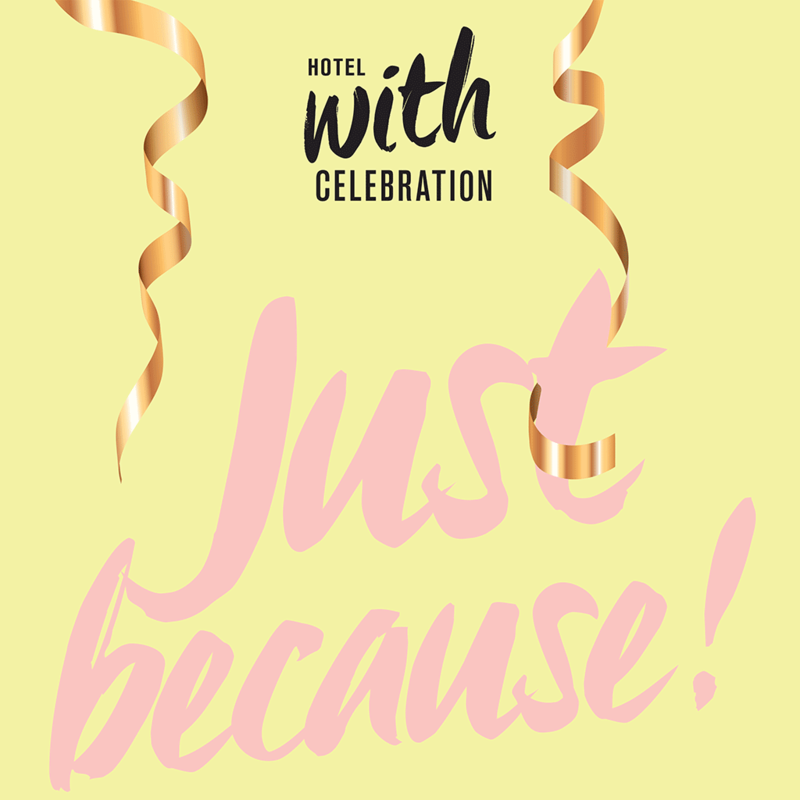 ADD OUR CELEBRATION PACKAGE TO YOUR BOOKING! ADD OUR CELEBRATION PACKAGE TO YOUR BOOKING. PAYMENT FOR PACKAGE IS HANDLED SEPARATELY AT THE FRONT DESK. IF YOU CHOOSE A PACKAGE WITH A CAKE, PLEASE BOOK AT LEAST 3 DAYS BEFORE ARRIVAL. NOTE IN BOOKING COMMENTS WHAT TYPE OF OCCASION YOU ARE CELEBRATING! IF YOU HAVE ANY SPECIAL REQUESTS PLEASE EMAIL FRONT DESK (HELLO@HOTELWITH.SE). PRICE VALID ON SELECTED SUNDAYS AND WHEN BOOKING THROUGH OUR WEBPAGE.